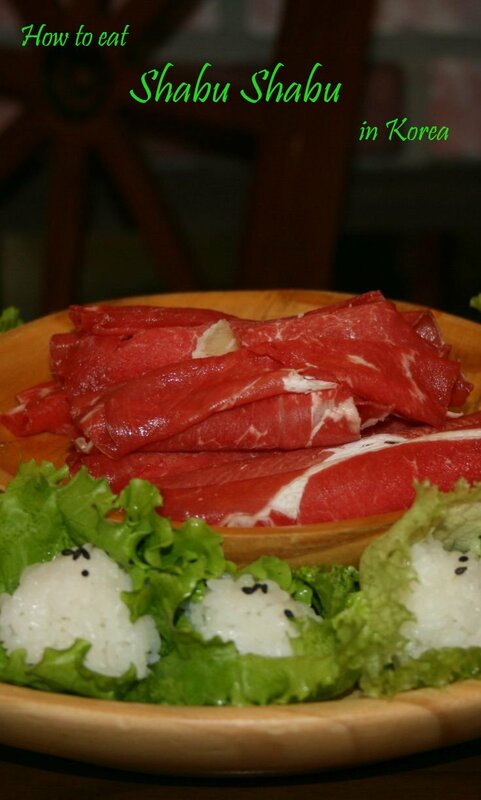 How do you choose the best Korean pot? One of my favorite books I like to read to my third and fourth grade students is A Single Shard by Linda Sue Park. 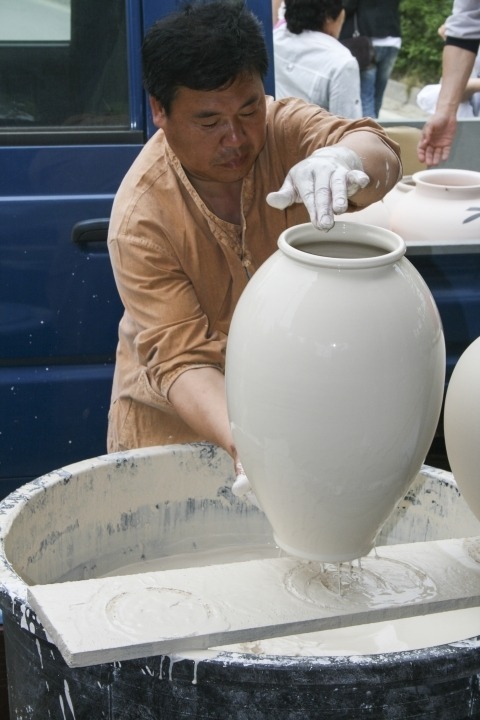 It is about a 16th century Korean orphan whose deepest desire is to become a potter. Unfortunately, only potter’s sons can become potters themselves. Our hero manages to work for the best potter in his town and helps the artist achieve his life’s goal, a royal commission. A fantastic story, one of the things I like most about the book are the descriptions of Korean customs and the ceramic process. I first read this book while still living in Korea, and it inspired me to find the best ceramic vase I could find before moving away. 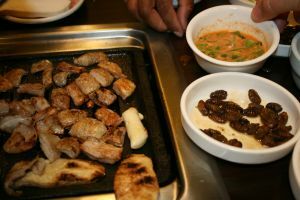 After doing my research I discovered that Yeoju was the place to go. 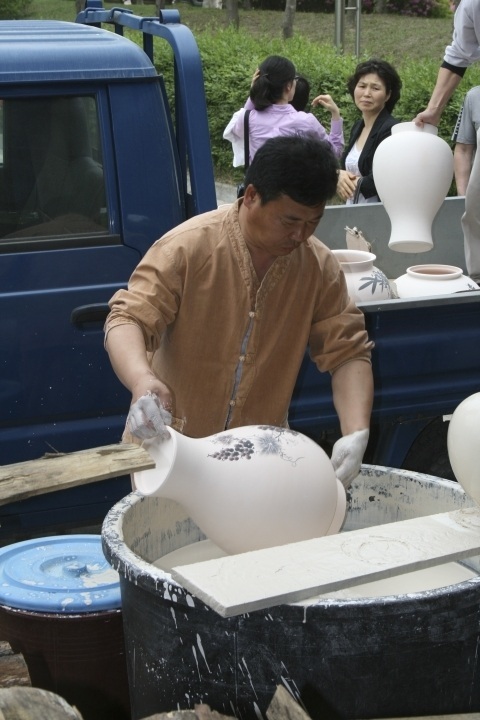 Yeoju has been a major player in Korean ceramics for the last four or so centuries due to the existence of the fine grade white clay found in Mt. Ssari. 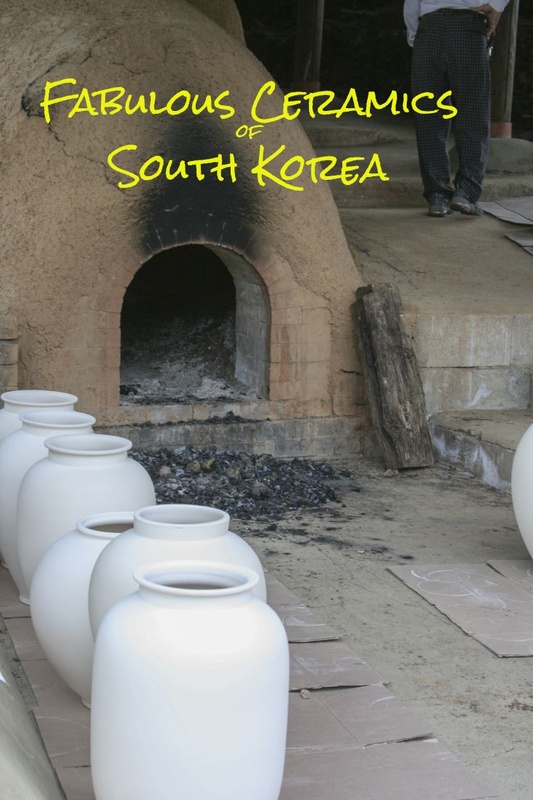 In fact, around the 17th century, Yeoju became known as the white clay capital of the country. So, we went. 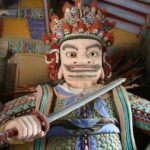 As many Korean cities do, Yeoju was announced with it’s ornate gate guarding the city. We parked and noticed we were far from the only ones there. The town was packed with tourists, although we were the only foreign ones I could detect because the other were off gawking at World Heritage Sites or temples, and the streets were lined with ceramic shop after ceramic shop. Thanks to the book, I had one goal in mind, to purchase a thousand crane (symbol of longevity) celadon vase. The artist is in the yellow outfit. 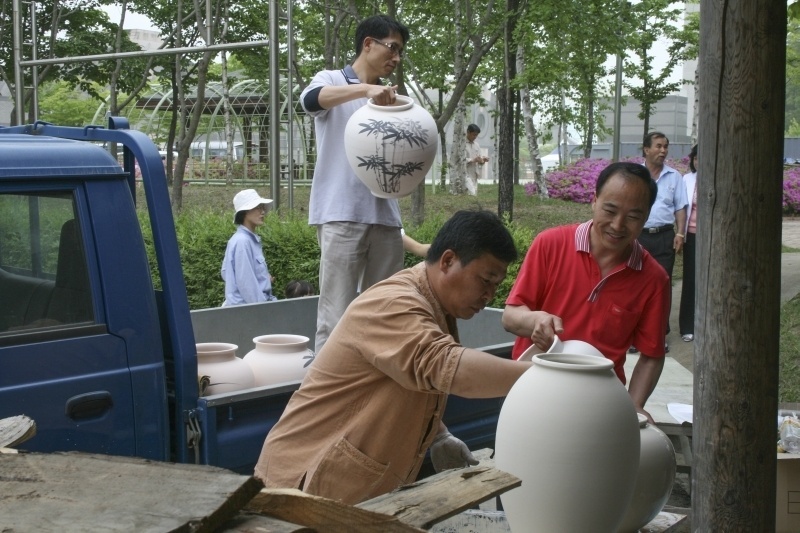 He and his friends are unloading the pots from truck to dip them in slip and add them to the kiln. Wandering around, we came upon a working traditional chambered climbing kiln. 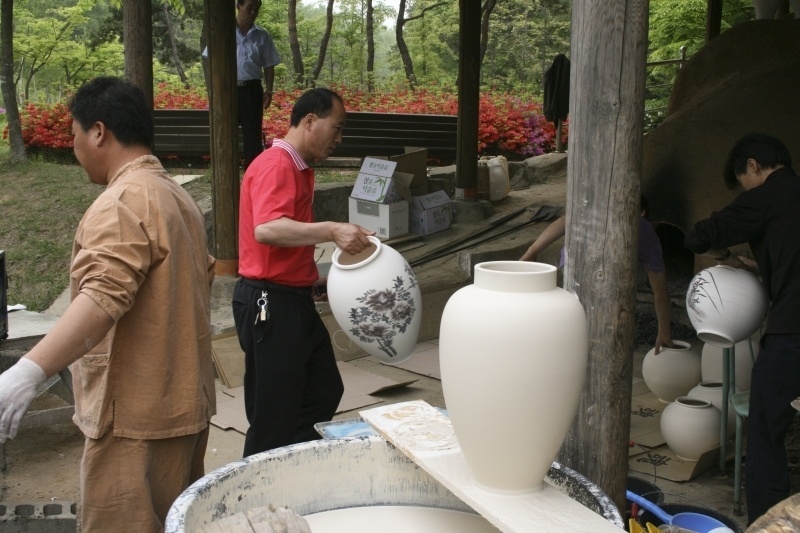 An artist and his helpers were preparing his vases with their last coating of slip before being fired in the wood kiln. As you can see this is a kiln made in the traditional manner, and is heated with wood. Someone must tend the fire night and day. The kiln is always busy, and as you can see the next batch of vases are stacked up on top until the kiln is emptied. Koreans are known for their high quality ceramics. The pots they make are beautiful. I’m happy to say, I did find my 1,000 crane vase, and I bought a few others as well. It was certainly one of the most meaningful souvenirs I have ever bought while traveling. 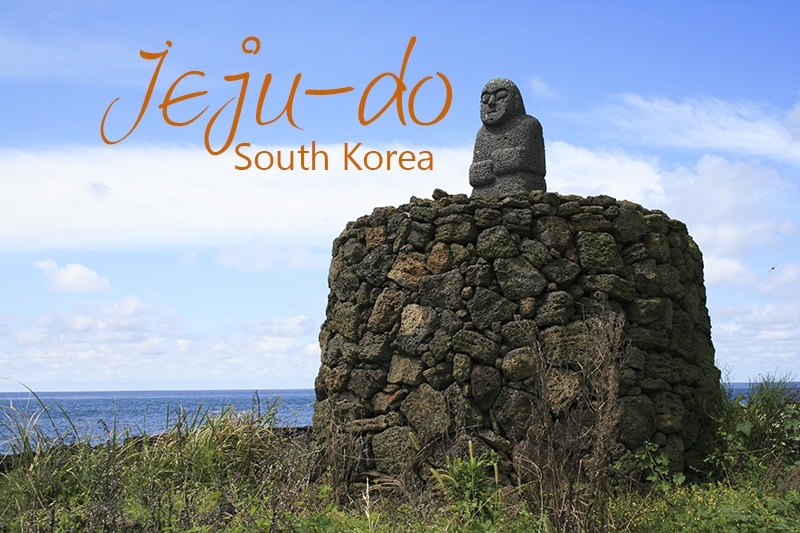 If you get a chance to visit Yeoju, don’t pass it up. It’s quite the experience! 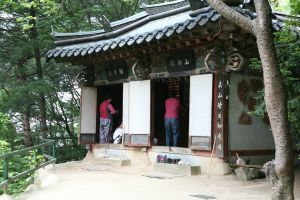 What are some of your favorite sights and experiences from Korea?